Sweat Hard, Feel the Burn, Win the Race Indie Writing and Publishing Conference brings to you the first in a series of interviews with our expert presenters who will help you cross that finish line. 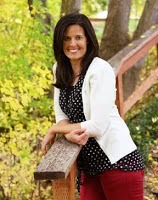 Today we're chatting with bestselling USA author Rachael Anderson. A: I'm a mom first and a writer second. I write happy, hopefully-uplifting, fun romances—three of which I had published traditionally and seven I've indie published. A: I attended a writer's conference that opened my eyes to indie publishing, then I read, asked questions, and learned as much as I could. It's a steep learning curve, and I would have loved to attend an indie conference when I first began, but sadly, there weren't any. Thank goodness that's not the case anymore. I love that so many people are willing to take time out of their busy lives to share what they've learned with others. A: How to turn your word document into an ebook and how to typeset a book for paperback using Word. It's stuff that took me many painful hours to learn, so hopefully I can simplify the learning curve for others. A: Been there, done that. Over and over and over again. A: (1) It gives you control, (2) You don't have to wait on someone else's timeline to get your books formatted, (3) Saves you money. A: I don't have a lot of time for writing, and I try my best to always put my family first, so my goal is to publish two novels a year. A: Every conference I've attended has been such a blessing to my writing life. I've met people who have become wonderful friends and supporters, learned so many important and useful things (things that are so much easier to learn at a conference), and always come away feeling motivated and excited. But I think the most important thing I've learned from other writers is that this isn't a competition, and if we work together great things can happen. A: I'm terrified of heights. My husband talked me into going parasailing with him once, and while he was enjoying the view, I was praying (with my eyes clamped shut) that we'd survive. I still have nightmares about it. That was a been there, done that, NEVER again thing for me. A: Learn all that you can, connect with other authors, and don't give up!